Staff Christmas Party Planning for a fast growing company like Seek is a big deal. with a digital focus theySeek has embodied toe “Ad Agency” cool vibe. This is a company providing free ice-cream to staff on a daily basis, so the Staff Christmas Party Melbourne puts on it one designed to leave staff talking. Seek engaged instinct to provide an array of event management services. Firstly to select the venue and create and cost a concept design. Floor plan layouts and then entertainment sourcing, booking and management. 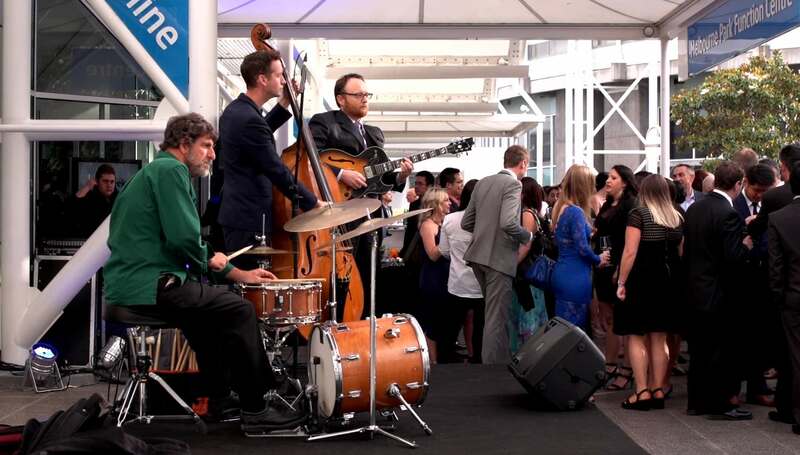 With the event situated at Melbourne Olympic Parks Function Centre, the large outdoor facilities allowed guests for be served drinks and canapés whilst being entertained with some cool jazz from Marinucci Jazz. The main room real gave guests a taste of what was to follow, with an “old school” rock stage set and production. 1980s style lighting effect were employed to further deliver the 80s theme throughout the guests experience. The dance floor was full from song one and remained full until the end of the night. 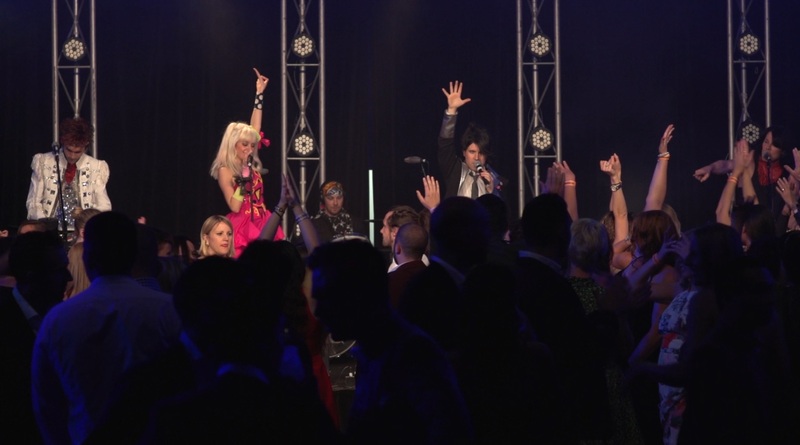 Melbourne cover band Stand & Deliver” rocked out all the greatest hits of the 1980s, interspersed with contemporary hit from DJ Rob. Instead of turning into a pumpkin at midnight, this crowd rocked on with a Dj based afterparty in an adjacent room. Decorated in glow furniture and UV lighting , this was one cracking staff christmas party Melbourne teams will not forget in a long while.